Born in Liverpool, W.G. Collingwood was an author, artist, antiquary and Professor of Fine Arts. In 1872 he went to University College, Oxford, where he met John Ruskin. Three years later Collingwood was working at Brantwood with Ruskin and was Ruskin's secretary from 1881 onwards. Collingwood studied at the Slade School of Art between 1876 and 1878. He exhibited at the Royal Academy in 1880. In 1883 he married and settled near Ruskin in the Lake District. Collingwood edited a number of Ruskin's texts and published a biography of Ruskin in 1893. He wrote a History of the Lake Counties, researched and published extensively on the days of the Vikings in Cumbria as well as Norse lore and the Norsemen. His study of Norse and Anglican archeology made him widely recognized as a leading authority. By the 1890s Collingwood had become a skilled painter and joined the Cumberland and Westmorland Antiquarian and Archaeological Society, becoming editor for its Transactions in 1900. As an artist he was a Pre –Raphaelite and among the finest of the many artists who drew inspiration from the Lake District landscape. In 1904 Collingwood became secretary of the Lake Artists Society. Following Ruskin's death Collingwood served as professor of fine art at University College, Reading until 1911. Collingwood joined the Admiralty intelligence division at the outbreak of the First World War. In 1919, he returned to Coniston and continued his writing. He was a great climber and swimmer, and a tireless walker into advanced age. The Armitt Museum in Ambleside contains a display of the life and work of the Collingwoods. His son R. G. Collingwood became a famous philosopher and historian. The latest auction record for Collingwood is a testament to the growing appeal and admiration for his work. 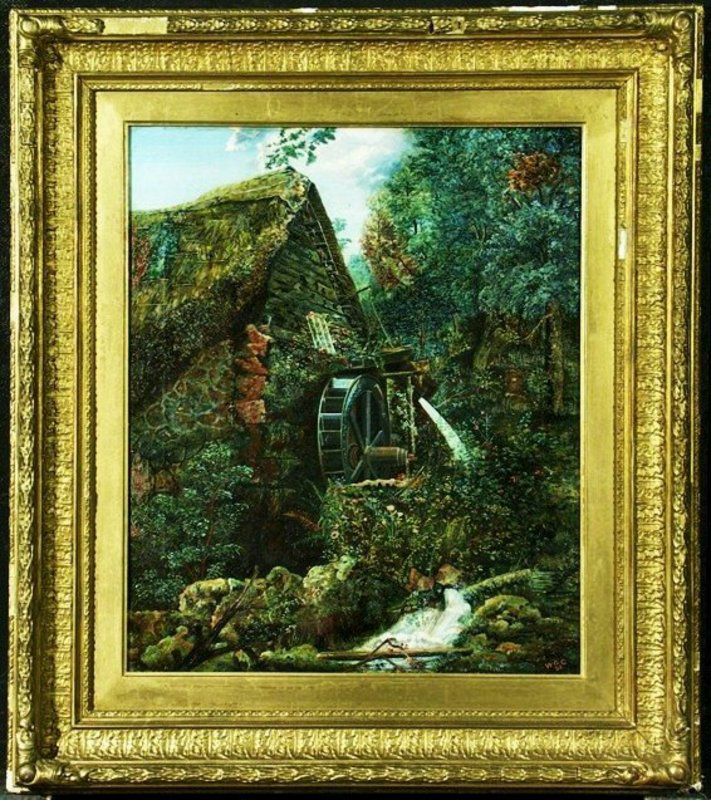 On 11/24/06 at Tennants Auctioneers in North Yorkshire, U.K. Collingwood’s Lakeland Landscape sold at auction for $12,874.00. The magnificent piece in our collection was painted in 1882 and is a wonderful example of Collingwood’s skill as a landscape painter and exemplifies his dedication to the Pre-Raphaelite style of painting. As is typical of Collingwood’s compositions there is a pervasive sense of tranquility and the deep colors enhance the clarity and exactness in the detail of each leaf and branch.